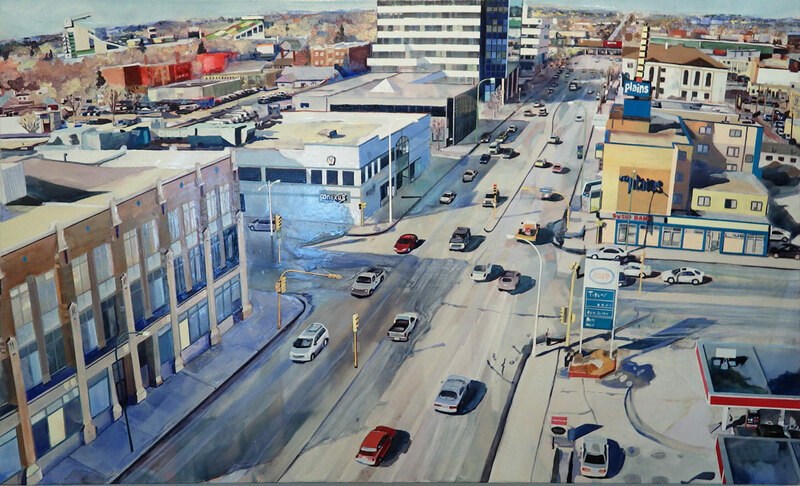 Pop Up 2018 is an exhibition created through a partnership of the Downtown Regina Business Improvement District, the Dunlop Art Gallery and the Creative City Centre. The exhibition is shows in 8 downtown storefront windows from June 22, 2018 - September 30, 2018. 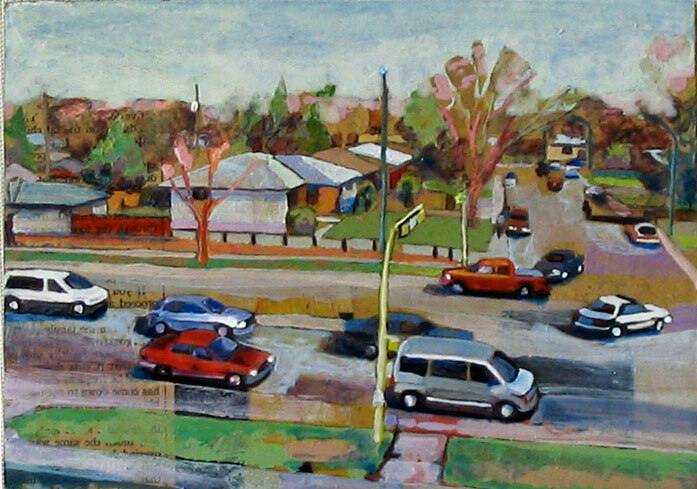 My Pop Up Downtown Regina 2018 project ‘Opening/Closing’ examines how people’s relationship with their environment is influenced by their accumulated experiences of a space. I recorded audio interviews with 9 people who spend time in the downtown area. I also accompanied people on their typical walk through the downtown core. 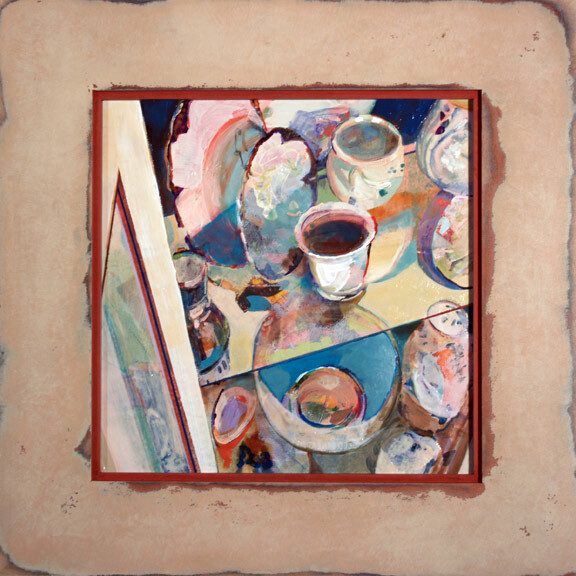 7 paintings and multiple short audio works were created in response to the interviews. 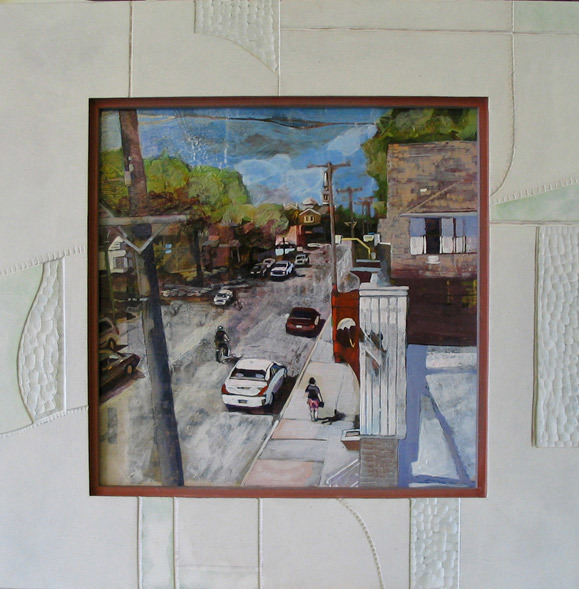 The installation also features a map of the downtown that sits outside of time, integrating contemporary and historical images of the area’s architecture. LED lights have been added to the map charting the participant’s daily routes. 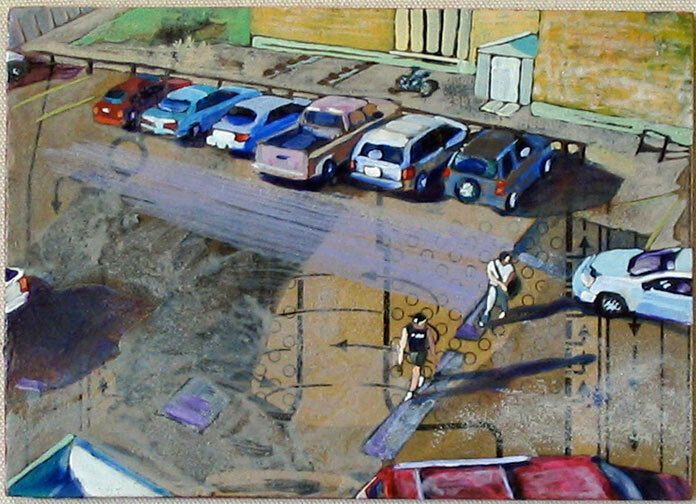 The map and corresponding painting light up simultaneously, linking the painting with the participant’s passage through downtown. Viewers can access the audio through multiple QR codes posted in the window in relation to the paintings. 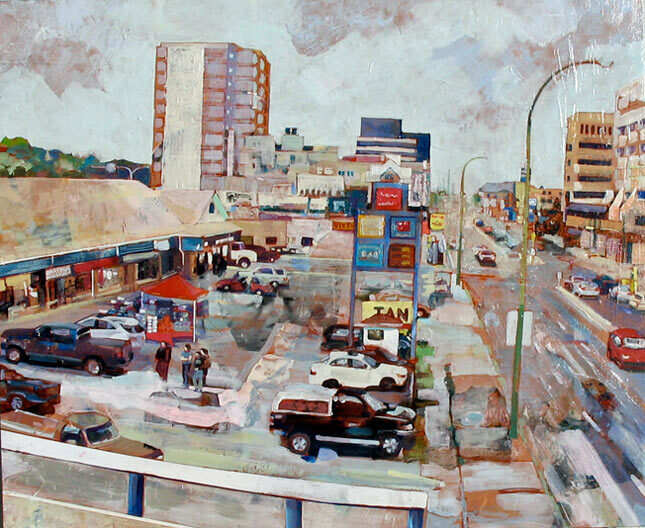 This work captures how downtown Regina is experienced by a variety of people and how our perception of habitual geography is layered with memory. This project was created in collaboration with Dave The Technologist; providing construction and design of the Arduino control box. 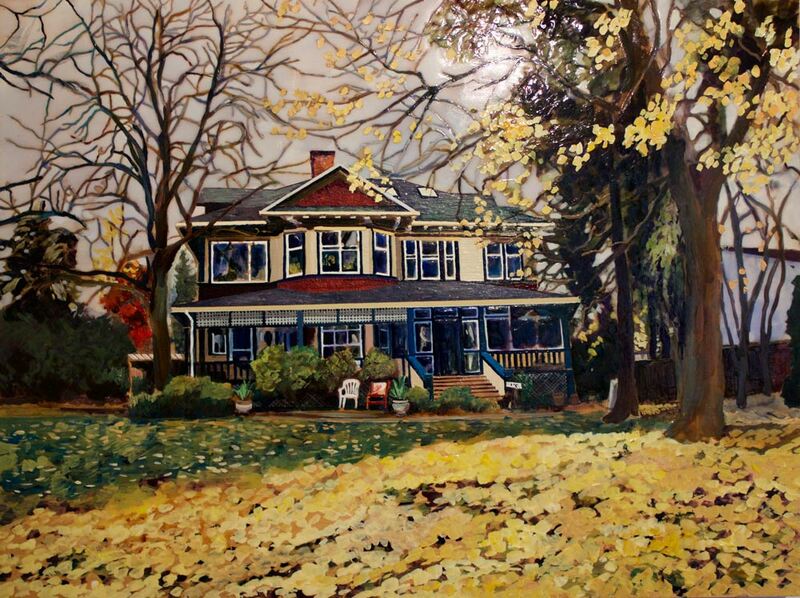 Over the past ten years, Regina-based artist Heather Cline has been quietly gathering stories from local residents in communities across Canada, collecting personal and regional history. 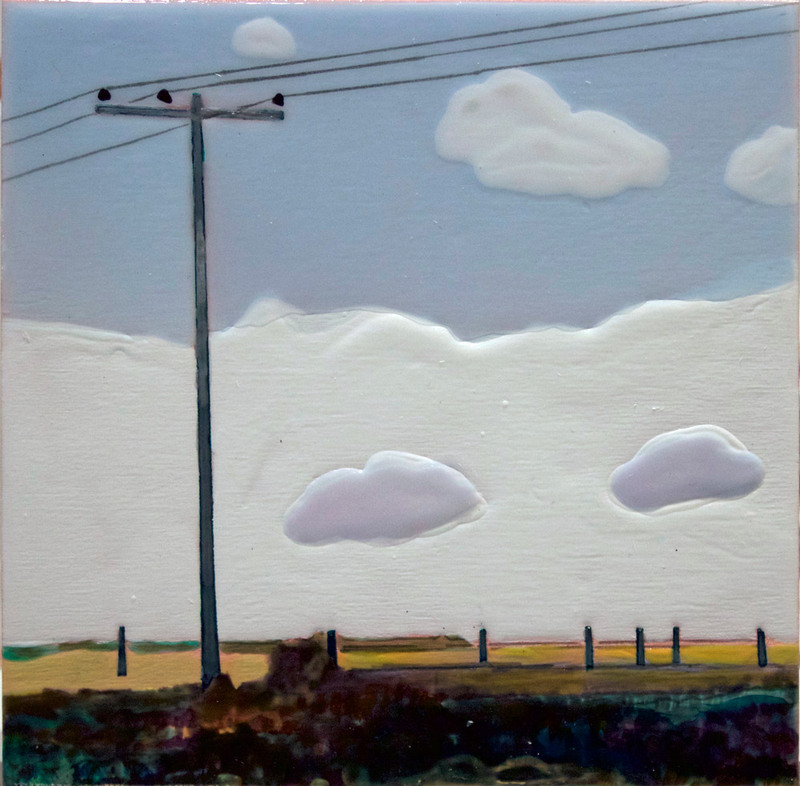 Through a series of artist residency projects and public engagements, she did such diverse activities as interviewing farmers on combines in Manitoba, fruit growers in Vernon and school children in Ardrossan, Alberta. 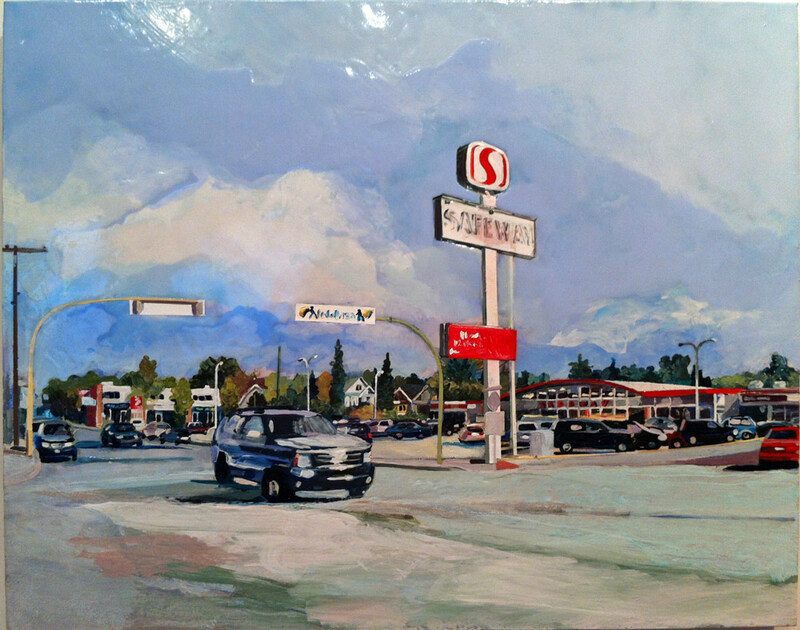 The interviews inspired Cline to paint different geographical locations, connecting with the subject matter through other people’s experiences of place. Excerpts from the audio collection are interspersed among the paintings to create the audience experience. The show will be touring in 2017-2018 through Yorkton SK, Moose Jaw SK, Kelowna BC, Strathcona County Alberta, Swift Current SK and Regina SK. It will also a feature a summer long installation at the Inglis Grain Elevators National Historic Site during the summer of 2017. Opening (Artist in Attendance) Sunday Jan. 29th, 2017 2-4pm. 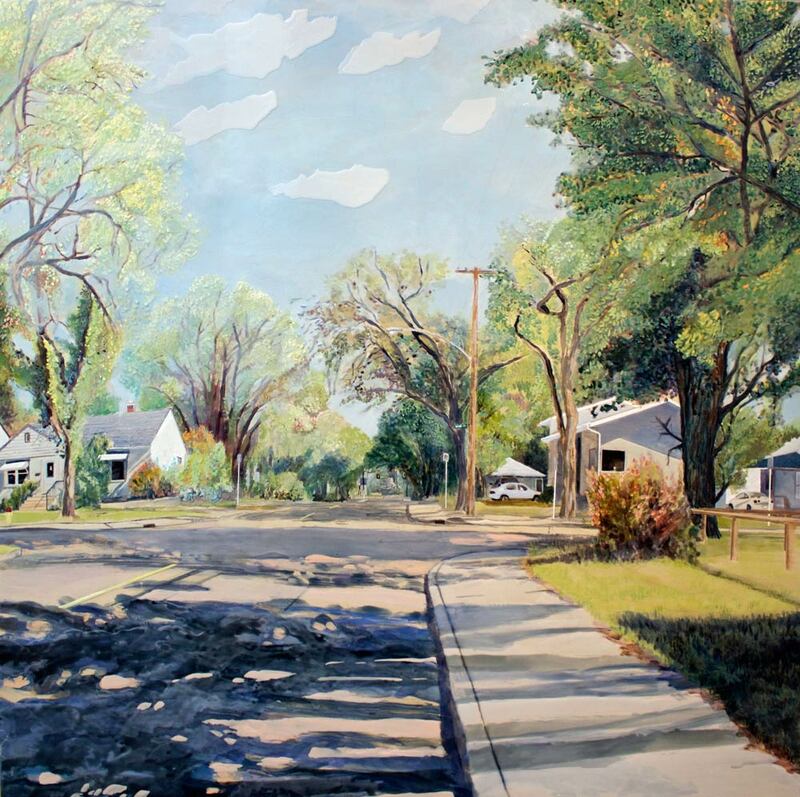 Urban Forest is a body of work about location, memory and the desire to insert the forest into urban spaces. 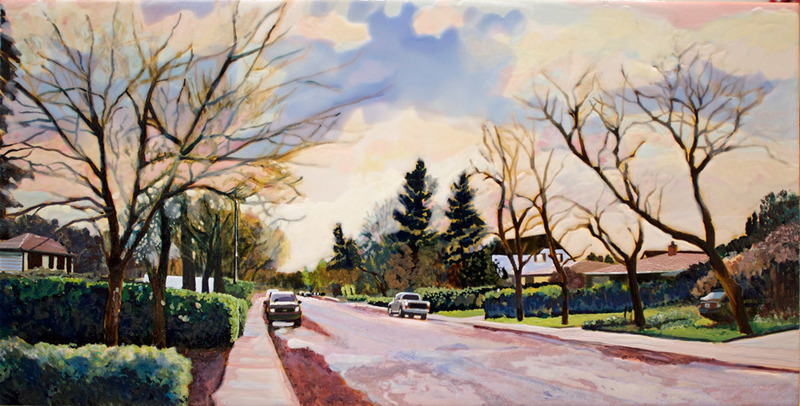 In the older neighbourhoods of Western Canadian cities the trees dramatically impact the light and shadow, visually breaking down the planned geography of the traditional street grid. 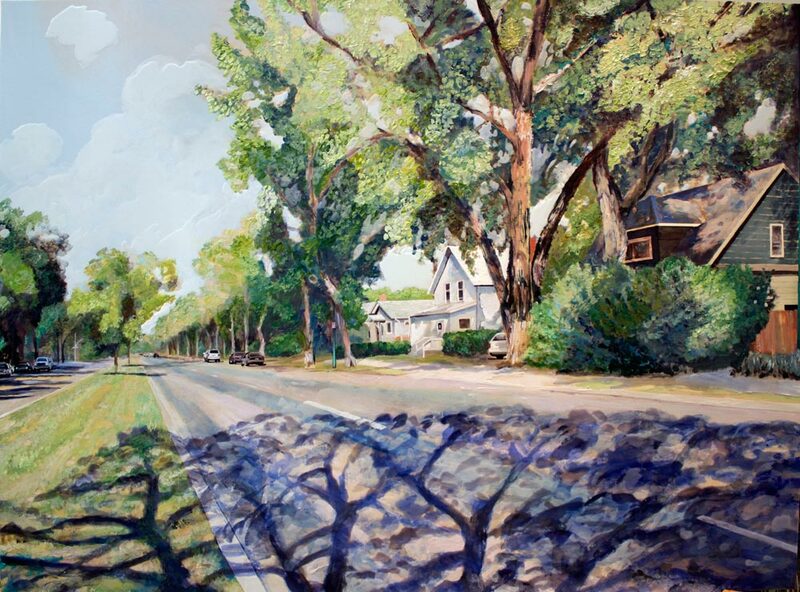 Like the shelterbelts of the home quarter on prairie farms the trees shield and protect our homes, and transplanted species connect us to distant geographies. The trees defy containment, stretching out in organic irregular shapes, shifting shadow patterns change as each season brings new growth, density and then loss. 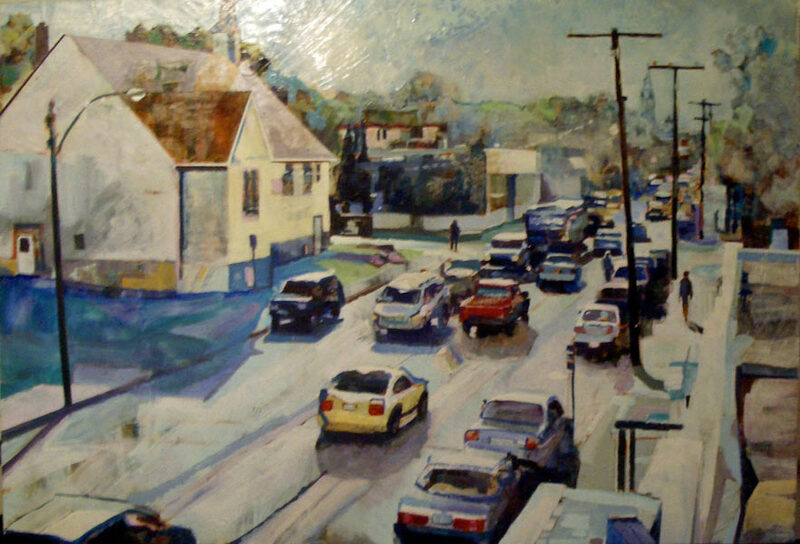 It is part of a larger body of work that I have been exploring for the past decade. 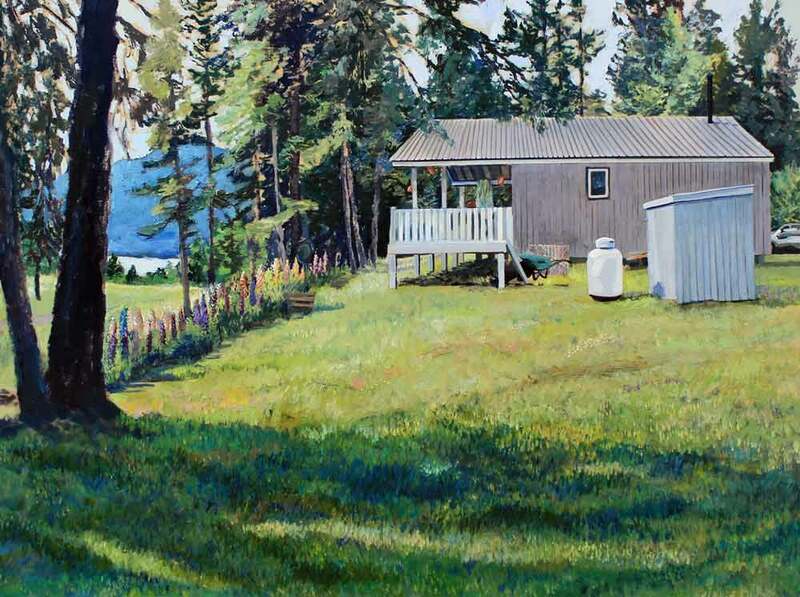 I am interested in creating paintings that give viewers a sense of a memory of place, not just a geographic location. My approach has been to create a more cinematic approach to documenting locations, using video and multiple camera angles and shots that are eventually stitched together into a digital drawing. Although at first glance the images suggest a specific reality, soon small visual details take on greater visual presence and proper perspective is frequently defied. 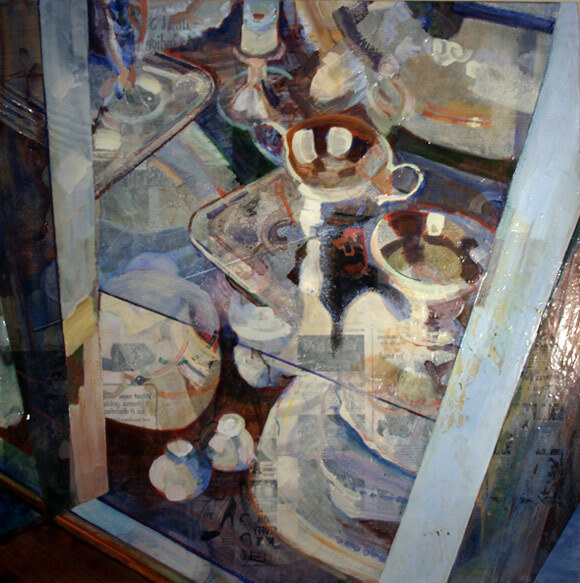 This drawing is combined with multiple layers of opague and transparent acrylic paint, light and colour, the paintings appearance subtly shifting in different light and from different viewpoints. In mid 1970’s my parents returned home from a trip to Ontario with a hand full of acorns, picked up from one of our original family homesteads. They nursed several frail saplings through several bitter Saskatchewan winter’s hoping that just one tree would survive and thrive. Eventually one tall rugged tree dominated our back yard. 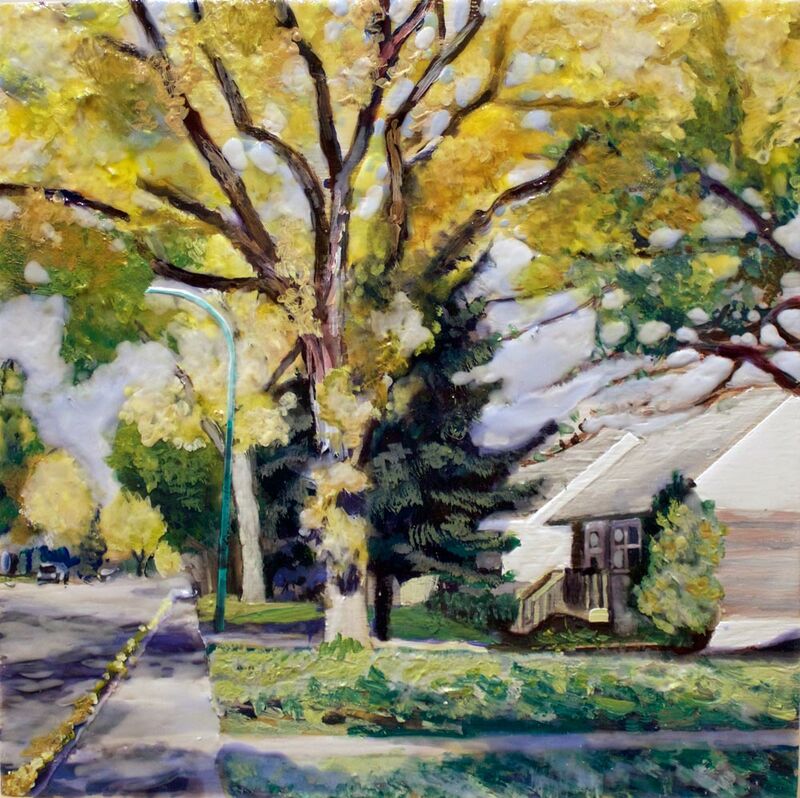 When I started creating the work for urban forest my attention was captured by the SOS Elms Saskatoon tree tour project. In their ‘Saskatoon Tree Tour’ booklet they highlight some of the rare and unusual species of trees growing in Saskatoon. I spent a day with my family visiting the various locations featured in the booklet. 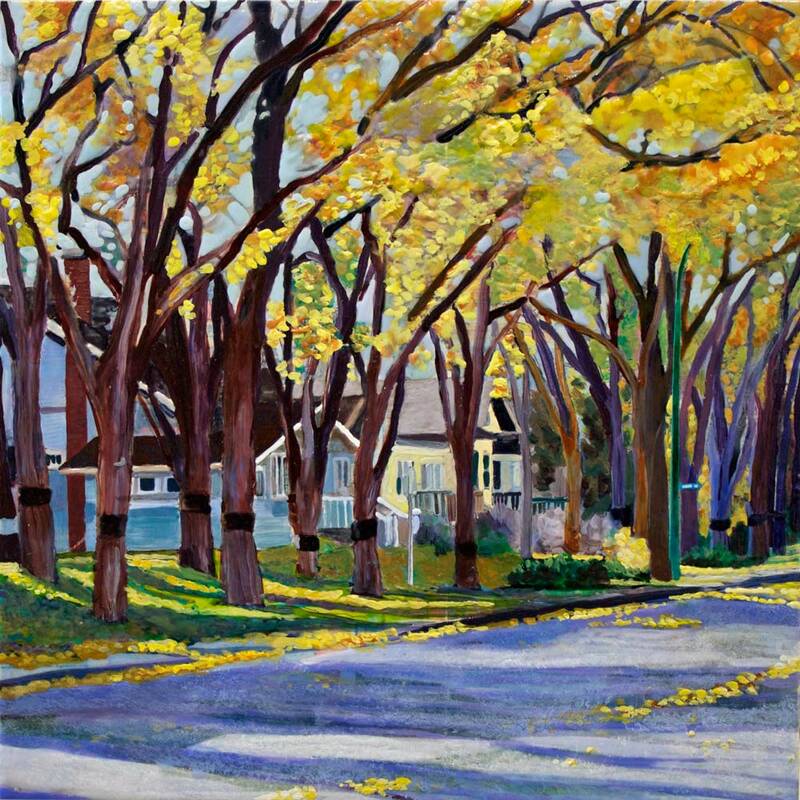 This tour through older neighbourhoods on Saskatoon’s east side was the starting point for many of the images in the ‘Urban Forest’ series. 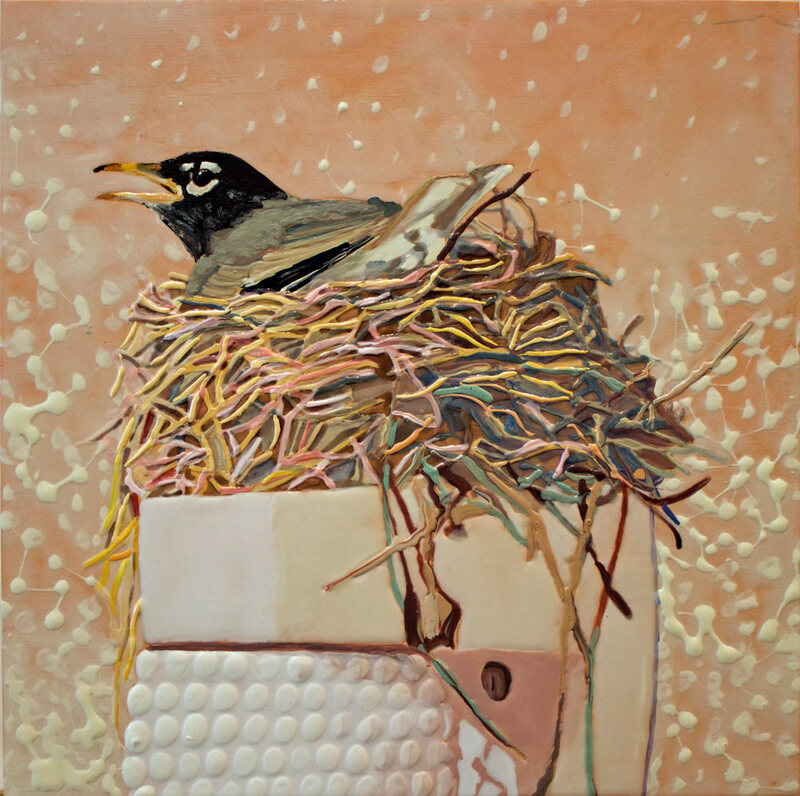 Co-Habitation: A series of paintings by Heather Cline exploring Robins and shared domestic space. 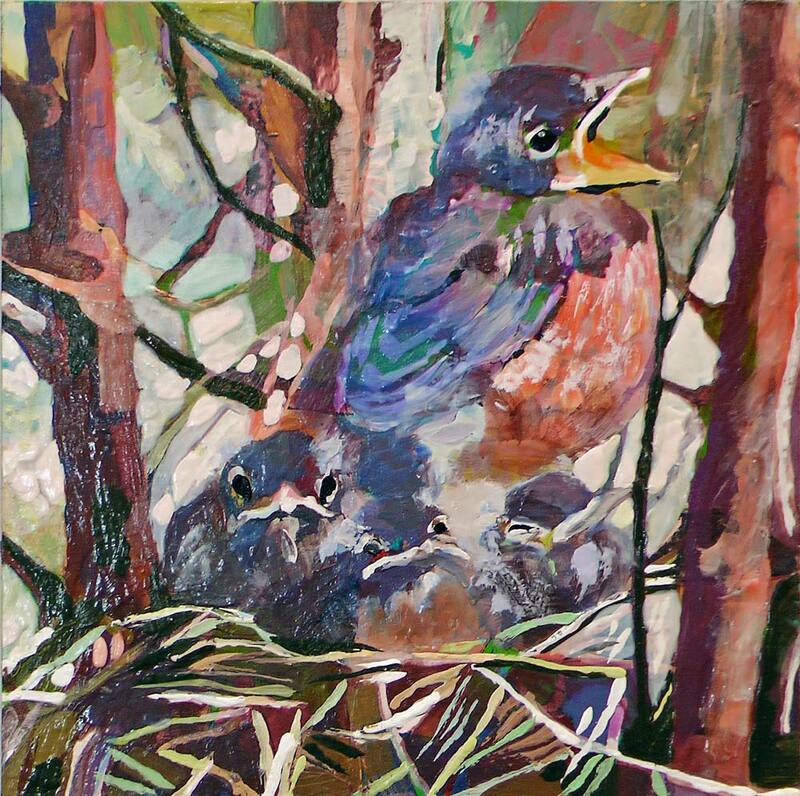 During the spring of 2010 a Robin pair nested in a tree outside our front window. 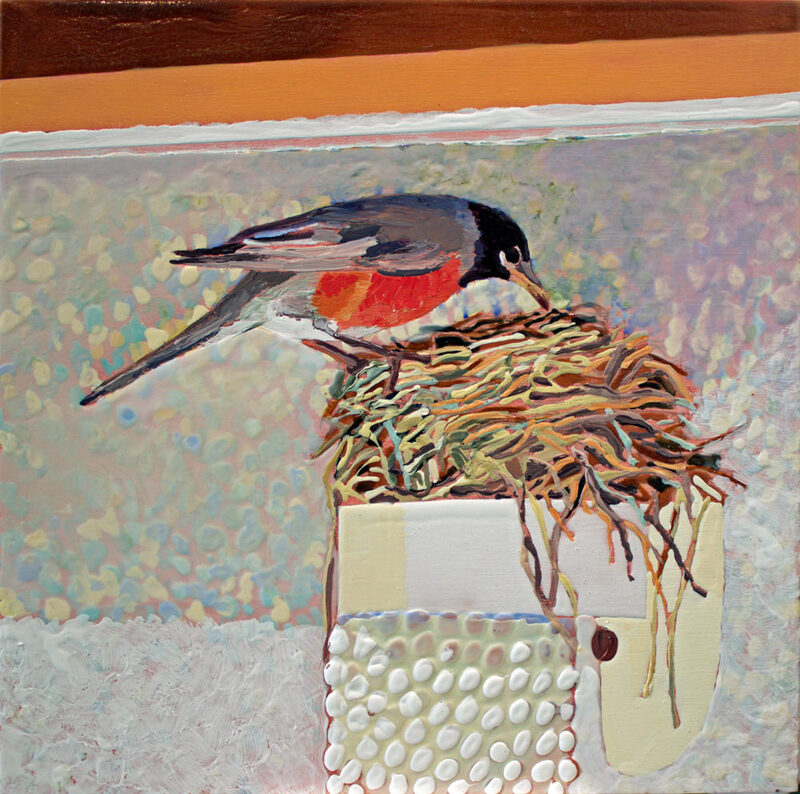 We set up a Robin Cam to capture images and share them with our family and friends. 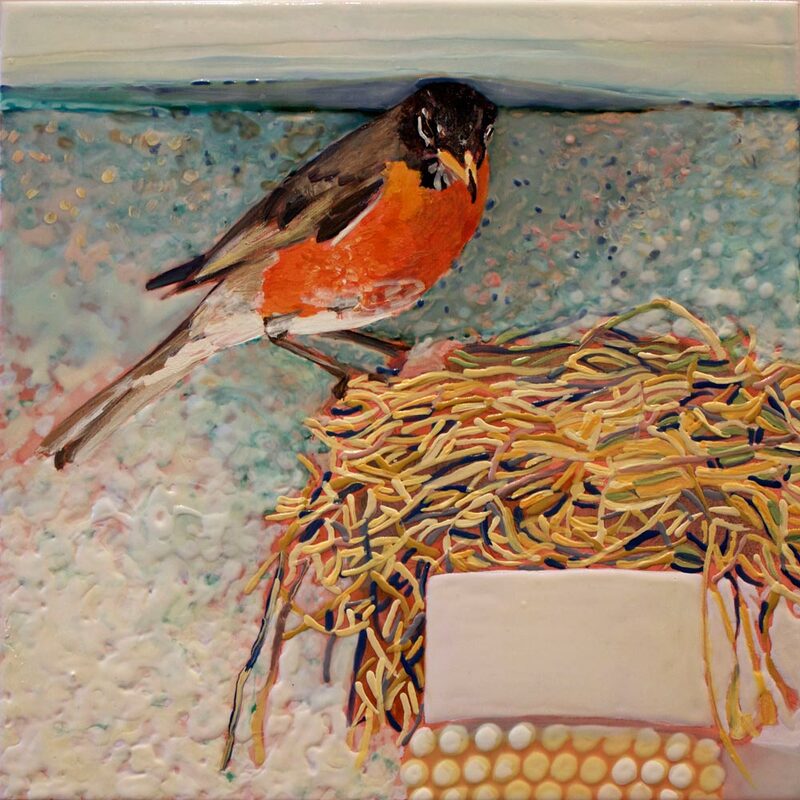 This resulted in a body of work entitled ‘Robincam’, 50 paintings depicting the Robins over a 6 week period, from egg to flight. 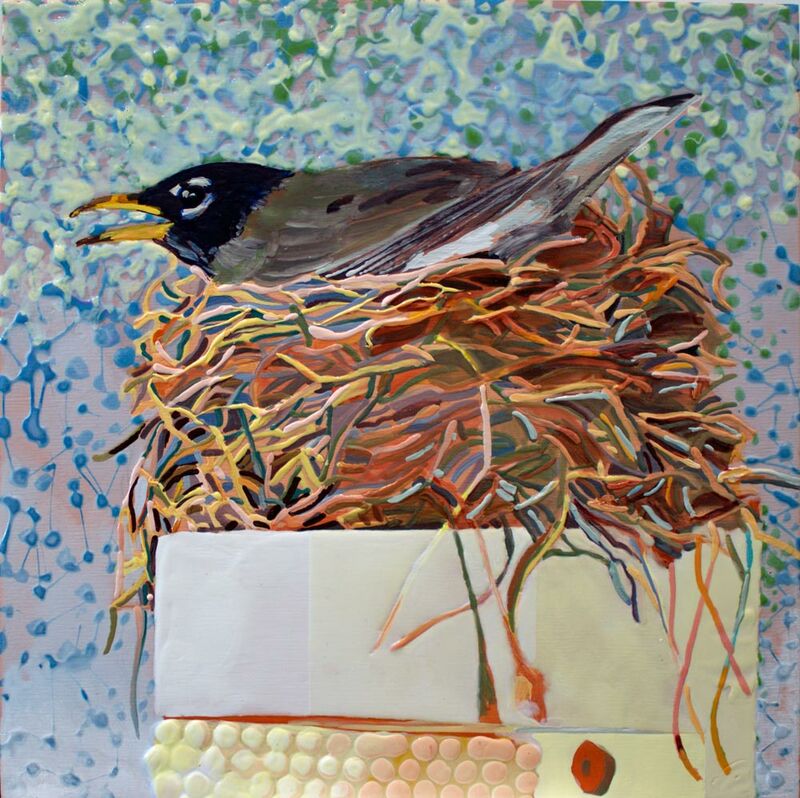 One of the interesting aspects of creating this initial body of work was how invested I became in the daily lives of the birds. I started to research the species and also gained a heightened awareness of the other birds that shared our outdoor living space. With this knowledge came a deeper understanding of the fragile nature of the Songbirds existence. 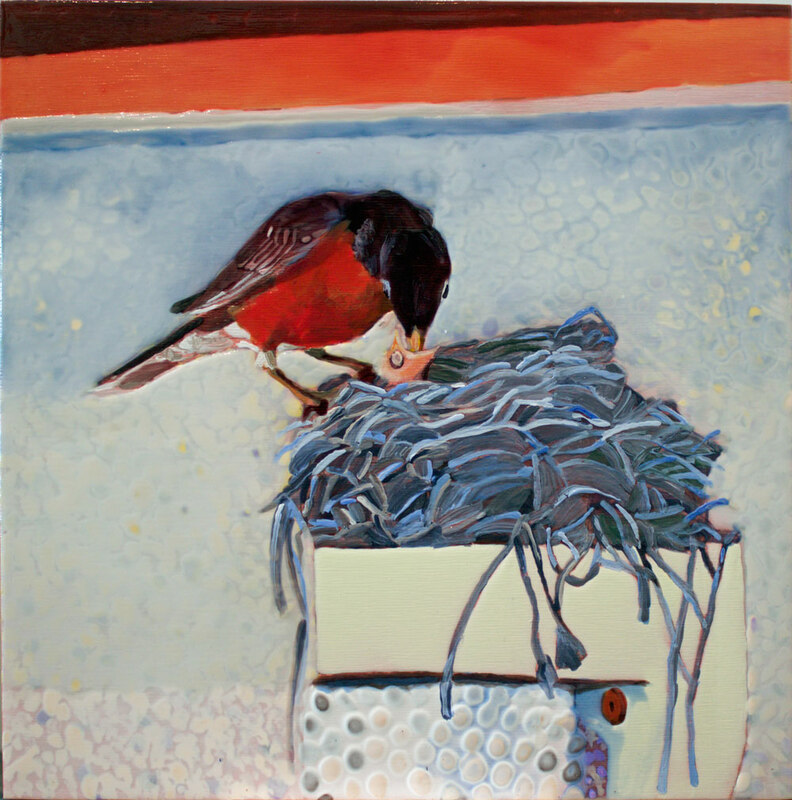 The series Co-Habitation was painted based on a risky nest that returning Robins built on the exterior light fixture of our garage. The complex natural structure of twigs, leaves and found objects is a stark contrast to the white stucco exterior of the aging urban garage. It is a poignant reminder of how little thought we put into how our shared urban space impacts local wildlife. This exhibition, ‘Passages: Town and Country’, explores the intersection between place and memory. 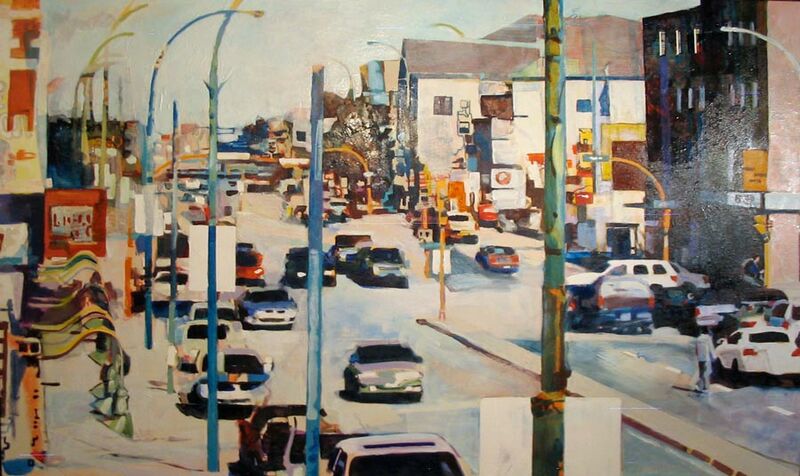 It includes images from rural and urban areas of Saskatchewan. 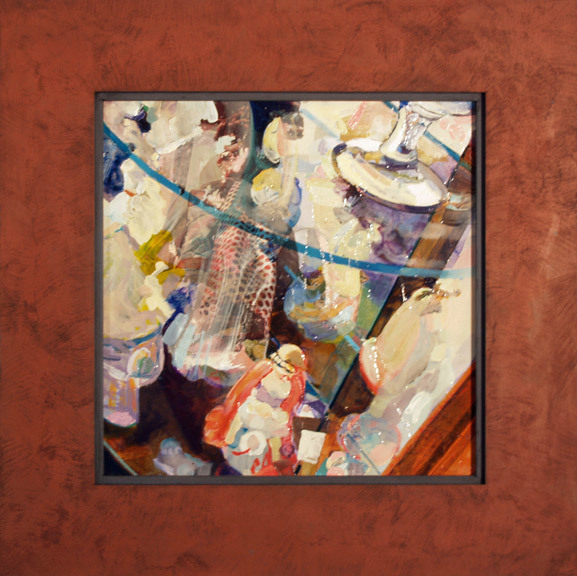 The images are acrylic and mixed media, including collage and digital imaging of maps of Saskatchewan collected by my father ranging from the 1940-1990’s. My dad had a particular fascination with maps. He spent his working life as a dairy inspector, hours in the car, farm to farm throughout southern and central Saskatchewan. He always carried multiple Saskatchewan grid road maps in his car and had obscure roads that he liked to take through both rural and urban landscapes. As I grew older I started to realize that he frequently traveled the path of memory, revisiting places that were important because of personal connection. Over the past several years I have also been spending hours on Saskatchewan highways, travelling to small communities to do educational programming. As I travel through these places I find myself charting my own passages. I collected the images used in these paintings along the way. In November 2013 CFL fans gather in Regina Saskatchewan for the Grey Cup. 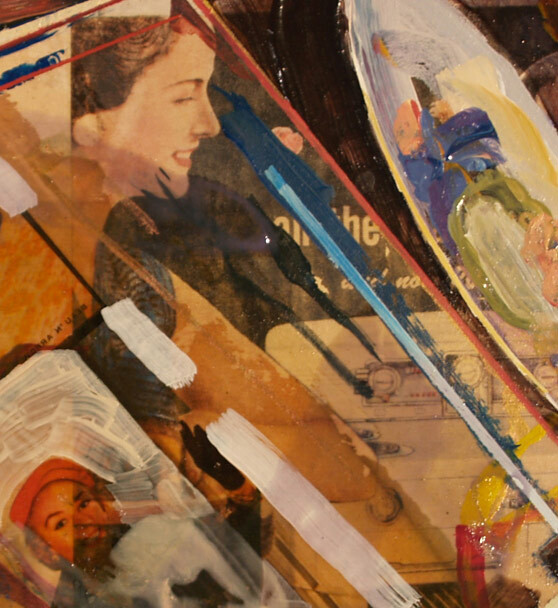 This art project is part celebration, part observation. Are you an inside fan or an outside fan? Do you prefer spending game day at home in front of the TV or are you a die hard season ticket holder who attends every home game at Mosiac stadium. This exhibition combines views of the city from inside and outside the stadium with stories from the wide spectrum of people who follow the CFL. On May 28, 2012 Minister Kevin Doherty joined Artist Residency Coordinator Laura Hale to announce the seven other artists that participated in a special artist-in-residence program. The program was part of the province's year-long celebration of the 100th anniversary of the Saskatchewan Legislative Building and was developed in partnership with the Saskatchewan Arts Board. 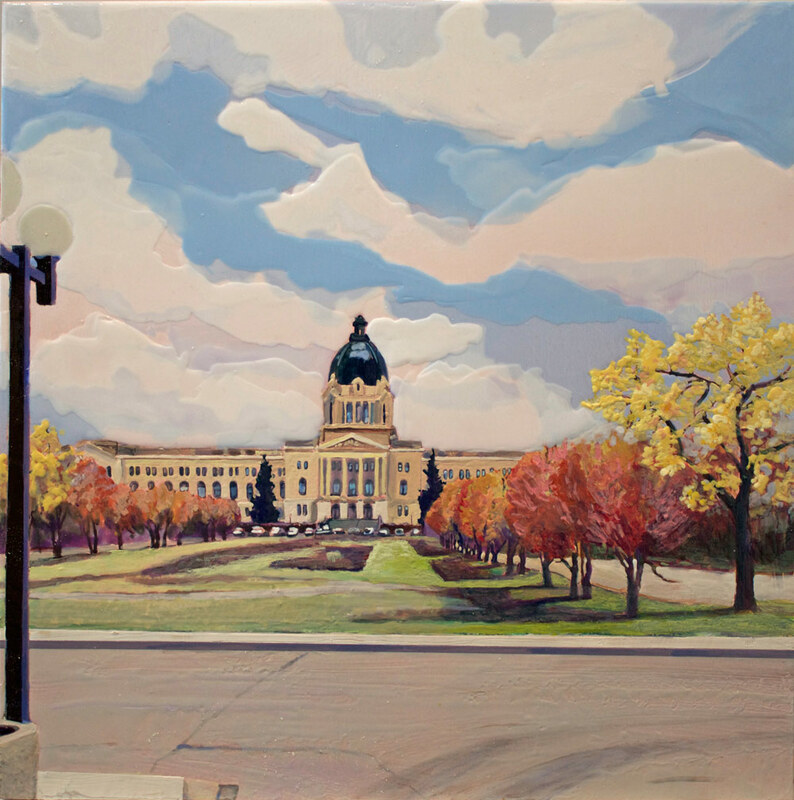 Under the guidance of Hale, who served as the eighth resident artist, the participants explored the history and significance of the Saskatchewan Legislative Building through their own artistic disciplines. Each artist hosted a community engagement project to encourage cultural exchange at the Legislative Building and also created a work of art that are displayed the alcoves in the Rotunda of the Legislative Building. The artwork was unveiled in December 2012. What does Saskatchewan mean to you? Over 100 years ago, architects, designers and craftspeople expressed the hopes and dreams of the people of Saskatchewan through the design of the Saskatchewan Legislative Building. For Cline’s legacy project people were invited to take part in a public art project that combined an exploration of symbolism at the Legislative Building with their ideas about how to symbolize Saskatchewan. Cline posted signs revealing symbolism at the 'Leg' and asked people to send her their symbols of what Saskatchewan meant to them. 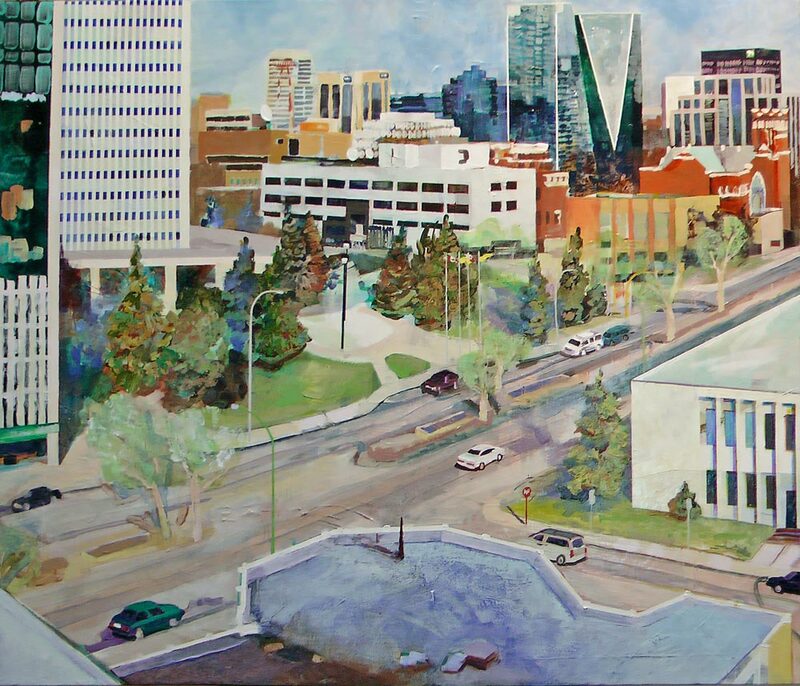 100 Saskatchewan symbols were included in Cline’s legacy artwork. 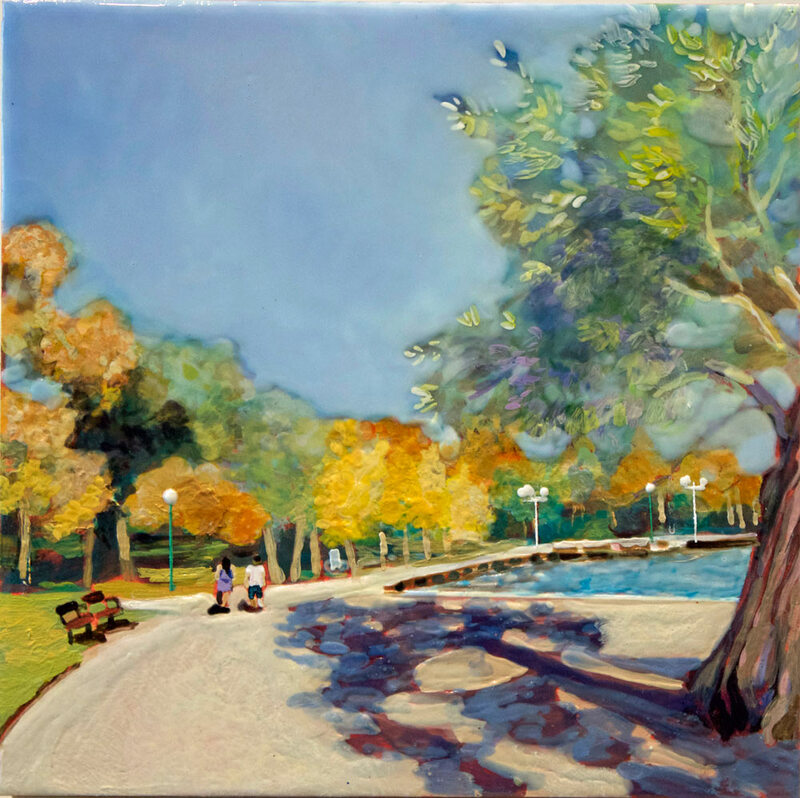 “My legacy artwork is a mixed media work on canvas: there is a digital background (almost a quilt) of the images generated by the public and a surface painting of a view of the Legislative Building, as it appears today 100 years after the construction. I took a series of exterior images at the October 11 Official Anniversary celebration, showing people entering and exiting the building. 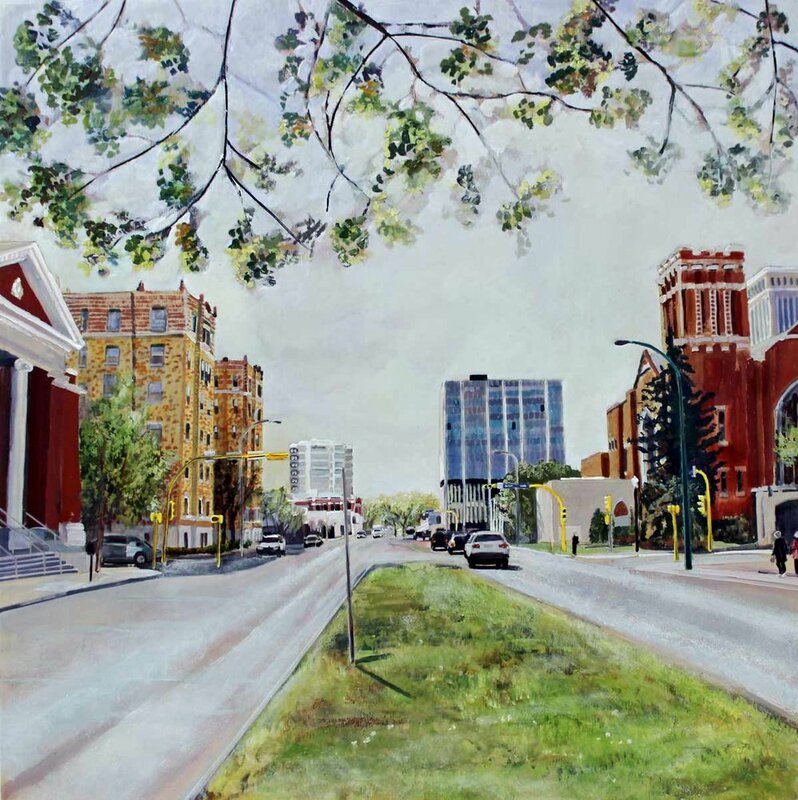 I felt it is important that people be present in this painting of the Legislative Building,” Cline said. “Structurally, the work consists of a digital print (archival ink) on canvas (this image contains 100 drawings and photographs created by the project participants). 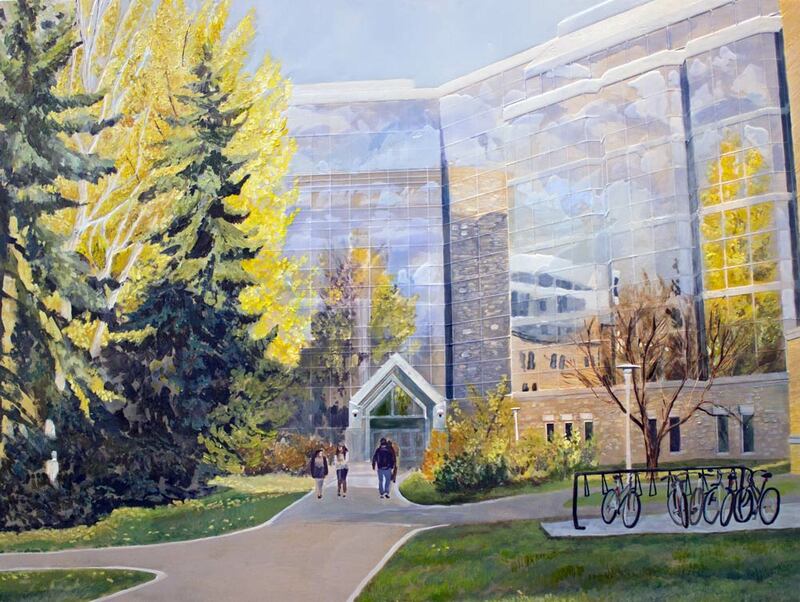 I then painted an image of the Saskatchewan Legislature Building in acrylic paint over-top of the digital print. Over five days in the month of October 2011, artist Heather Cline, with assistance from performance artist Michele Sereda set up in-residence in downtown Oshawa, working on a project called The Office of Identity Collection. The project involved setting up a 1950’s inspired “passport office” at 16 King Street East and collecting stories and photographs from participants. A range of ages and interests were sought in order to provide diverse impressions of the city and its history. 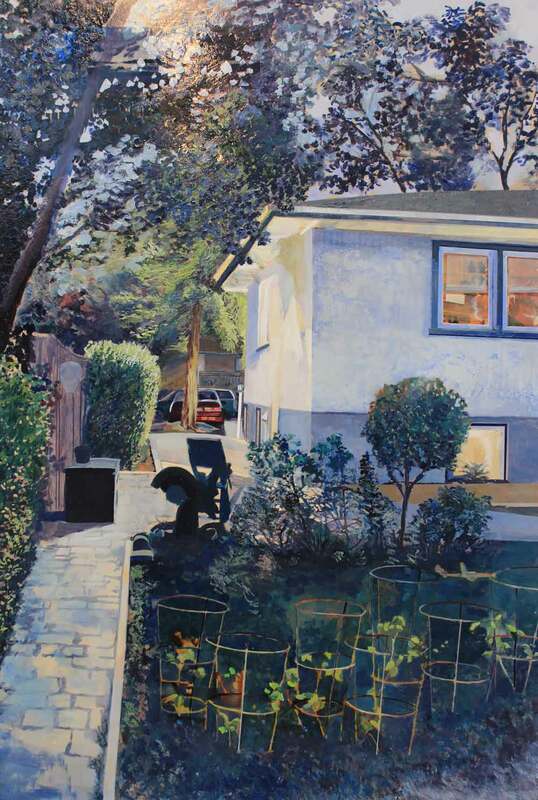 The immersive experience was designed by Cline to draw out memories and stories from residents of Oshawa, which in turn would be used as the basis for this exhibition. The interviews and photos collected at The Office of Identity Collection, along with historical images sourced from the RMG’s Thomas Bouckley Collection, make up the source material and inspiration for this exhibition. 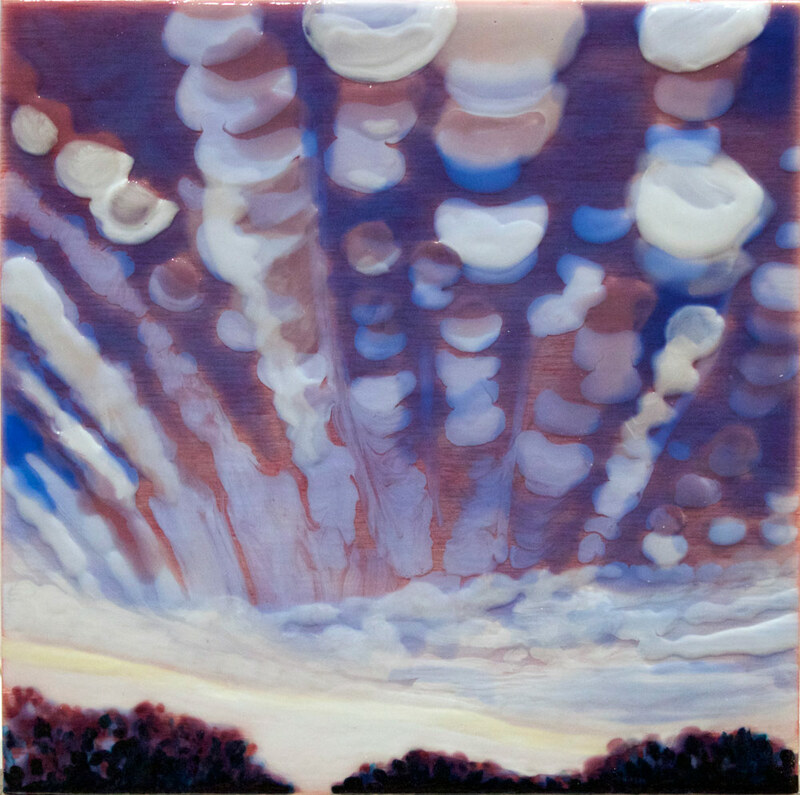 After returning to Regina, Cline began reviewing the stories and photographs she had collected, chronicling the project on a blog. In addition, Cline continued to follow Oshawa’s local media to gain greater understanding of the community. 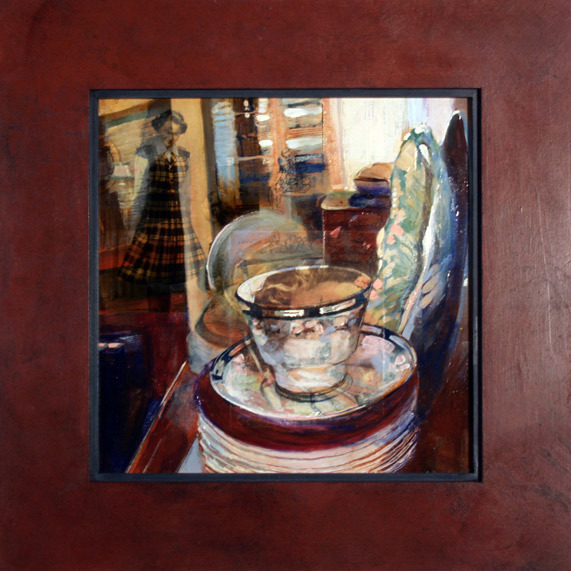 The works she has created for this exhibition include mixed-media paintings and multi-media presentations. 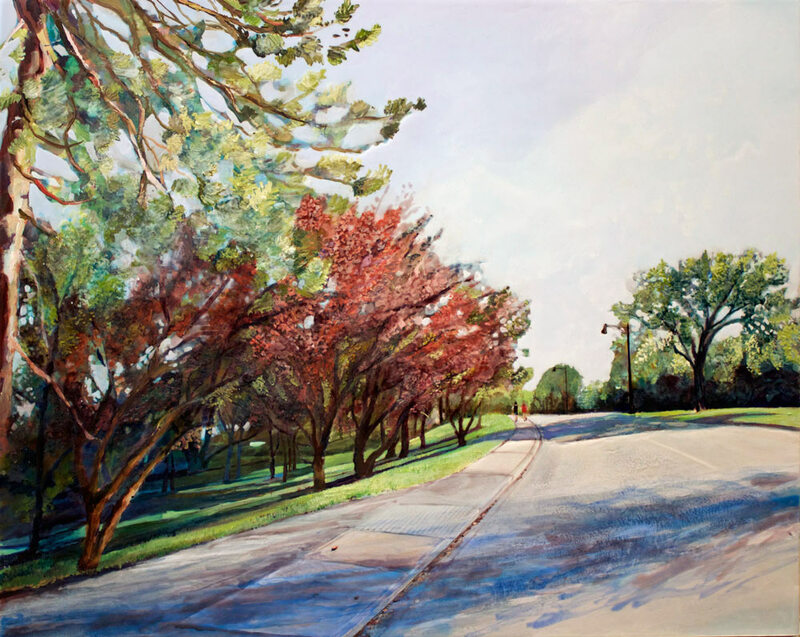 Heather Cline lives and works in Regina, Saskatchewan and has participated in group exhibitions throughout North America, with a solo exhibition at the Mendel Art Gallery in Saskatoon. This project is supported in part by the Saskatchewan Arts Board. 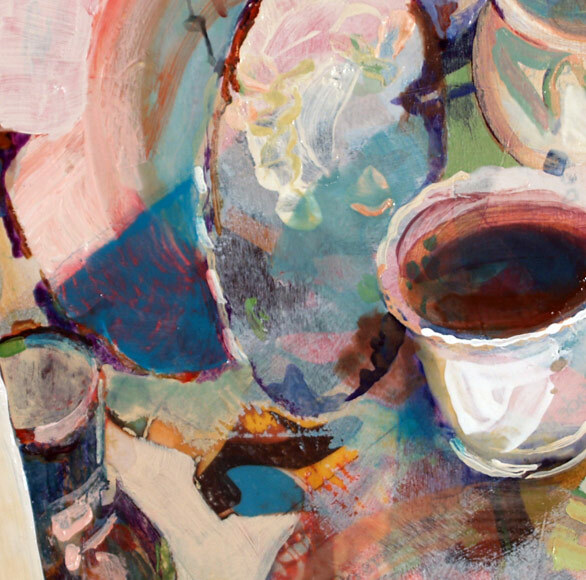 Curated by Linda Jansma and Sonya Jones. Veduta, an Italian word meaning 'view,' is an art form in which the scene of a city, land, sea, or any other 'scape' is captured. This project was launched with a pilot performance collaboration between mixed media artist Heather Cline and performance artist Michelle Sereda in 2009 at an installation entitled 'The Office for Identity Collection'. The performance included the collection of stories through written documentation, video interview and a performance program for school children. 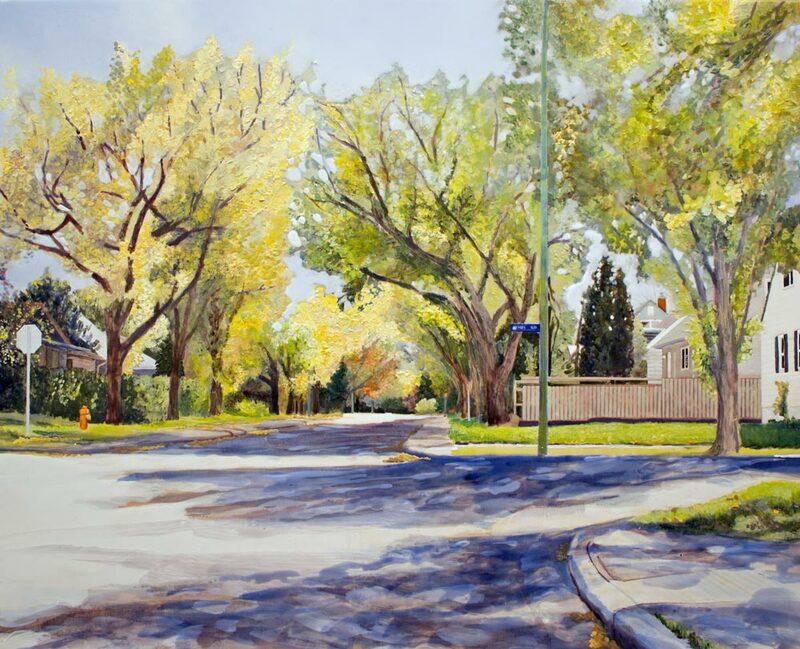 It culminated in a panoramic HD video shoot of the Cathedral Neighborhood in Regina, capturing portraits of the project participants on one of the main streets in the area. Cline extracted stories from the documentation and audio/video interviews to create an exhibition entitled ‘Populating Veduta: Contemporary Cityscapes’ for the Art Gallery of Regina in the fall of 2010. 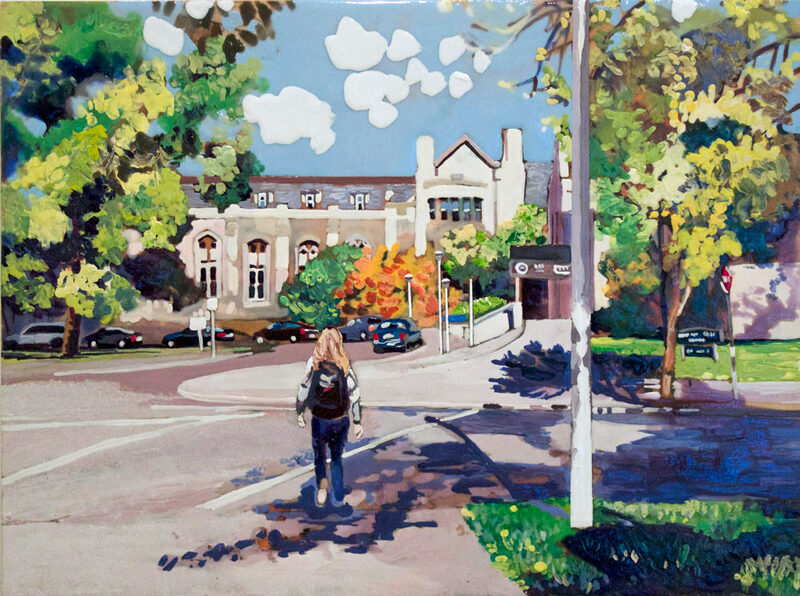 Using the footage from the HD video shoot, Cline translated her research of the community - both past and present - into a series of large-scale ‘historic’ paintings and companion video shorts that capture the lives of everyday people in a diverse urban neighbourhood. For questions, comments and enquiries, please contact Heather using the button below.